Head to Target to add more Pokemon to your collection, just in time for Halloween. Looking to snap up two new Legendary Pokemon? Head to Target starting October 19 running through October 28 to get Zekrom and Reshiram for free, for your compatible Pokemon Ultra Sun, Ultra Moon, or Pokemon Sun and Moon game. 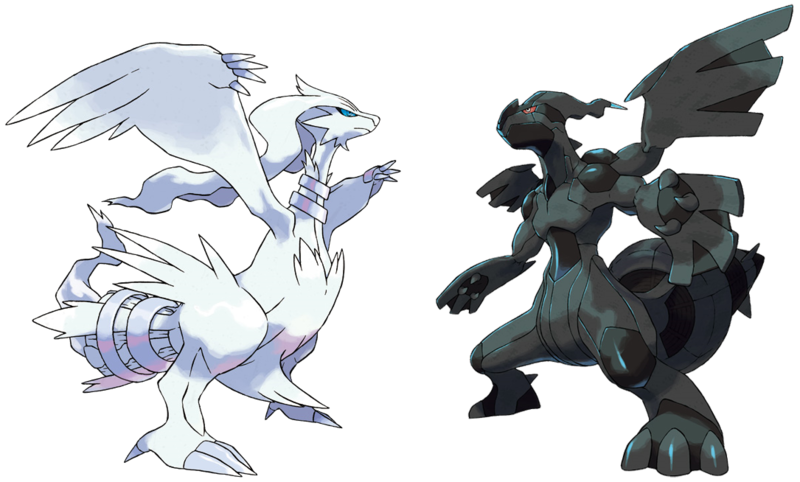 The two Legendaries, based from the Unova region, will be up for grabs during this window of time. You can bring them into the Alola region using the Mystery Gift feature on the new games at level 100 in Ultra Sun and Moon, and level 60 in Sun and Moon. Zekrom has the special ability Teravolt in both games, but is holding a Gold Bottle Cap in Ultra Sun, as is Reshiram. Reshiram has the ability Turboblaze in Ultra Sun and Moon. It's very simple to grab your Pokemon, though you'll only get one per game. Head to Target with your game and Nintendo 3DS, and open up the main menu after picking up your card with a special redemption code on it. Choose the "Mystery Gift" option, then "Receive Gift." Then choose "Get with Code/Password." Choose yes, then yes again to make sure you open a connection to the internet, and enter your code. You'll then have the Pokemon delivered to your game. It must be picked up via delivery person anywhere in the game at any Pokemon Center. Make sure you don't miss out on the special Halloween Pokemon distribution event!